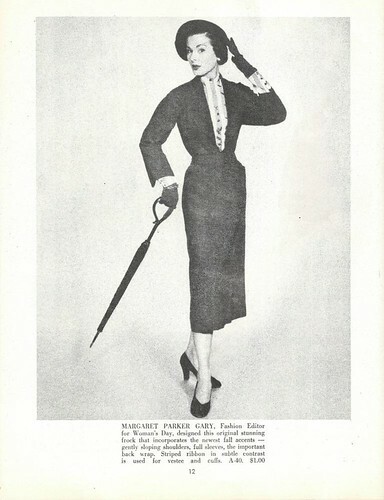 Here are a few more pages from Fashion: Fall – Winter 1950. 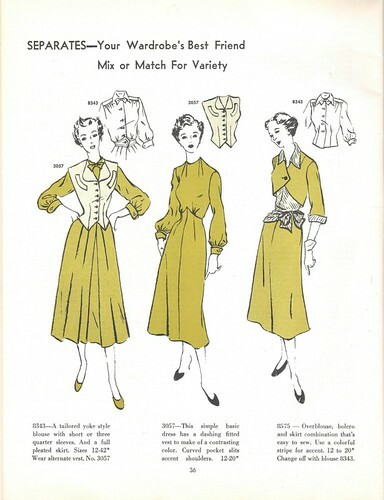 Perhaps one day I will come across one of the Sew Rite mail order patterns from this pamphlet! I wonder what would happen if I sent a request to the listed address for a few (or all) of the patterns? Could there be a magical warehouse that still stocks these fabulous old treasures? 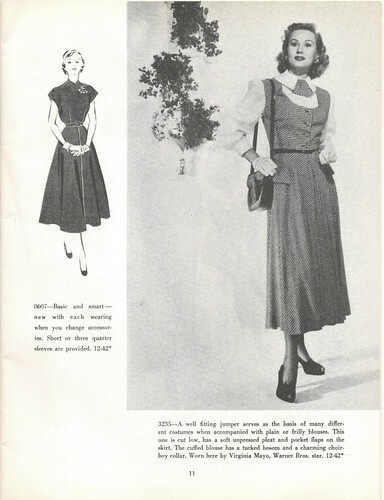 Much as I love, and often wear, vintage dresses, I'm definitely a big fan of yesteryear separates, too. I find that I really turn to them during the nippy winter months, as I don't have too many dresses that are heavy enough to fend off the freezing Canadian winter on their own, whereas a number of my separates have no problem on that front. 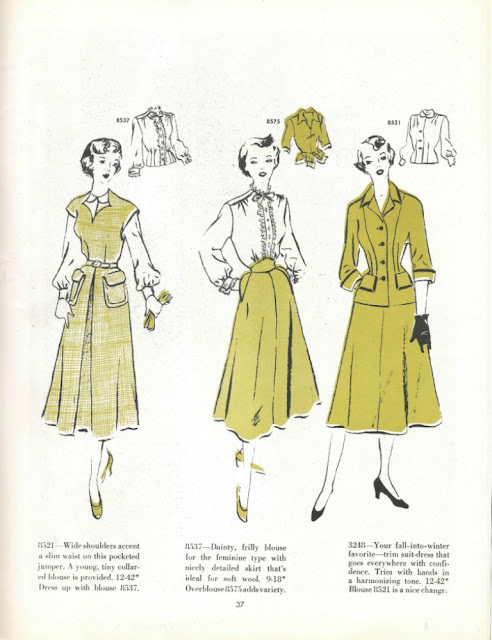 No matter the time of year though, vintage separates always get a big thumbs up from me. And they are only one dollar! I have several old Workbaskets with mail-order pattern ads in the back. I want so bad to send off for all of them!